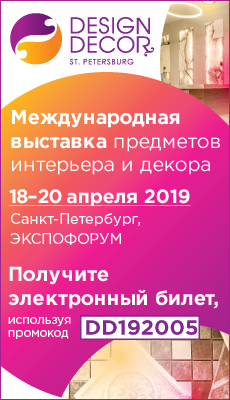 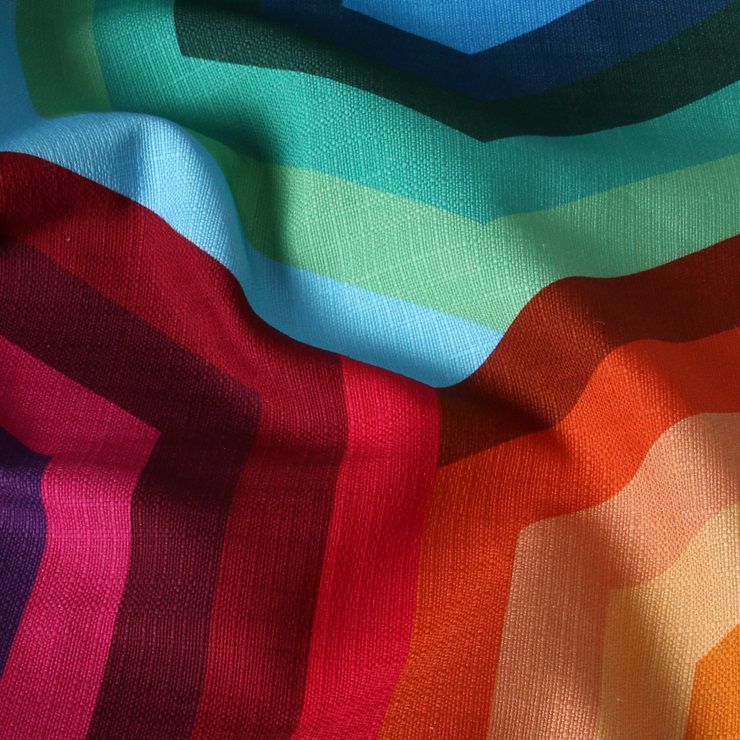 At the “Fabrics Library” section, we review fabric assortments of textile suppliers, and in the process, organize their products by themes, so designers who use our section would have no trouble in finding the needed fabrics for their theme-dominant projects. 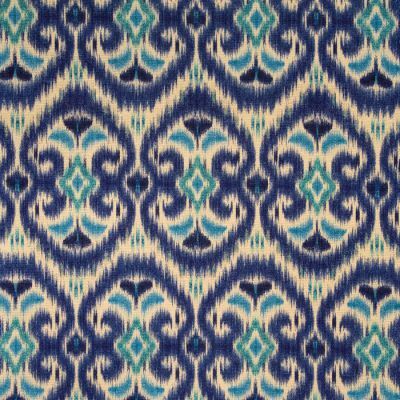 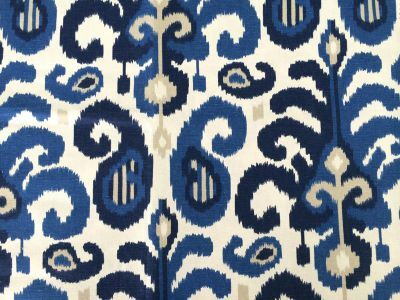 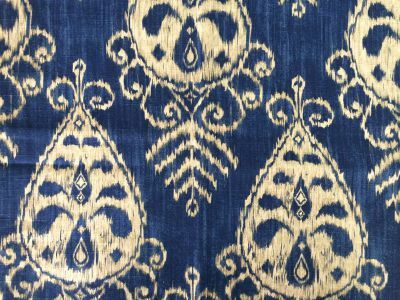 In the current release of the Fabrics library, we review fabrics that imitate the ikat dyeing technique, known for its characteristic blurred pattern edges and traditional ornamentation. 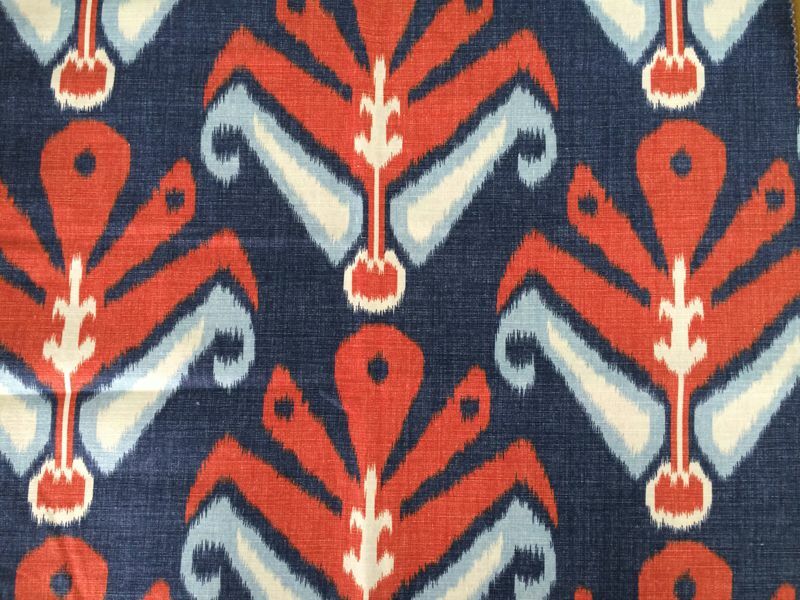 Fabrics with an ethnic ornamentation in the IKAT technique are well represented in both, Galleria Arben’s pre-manufactured and custom order programs. 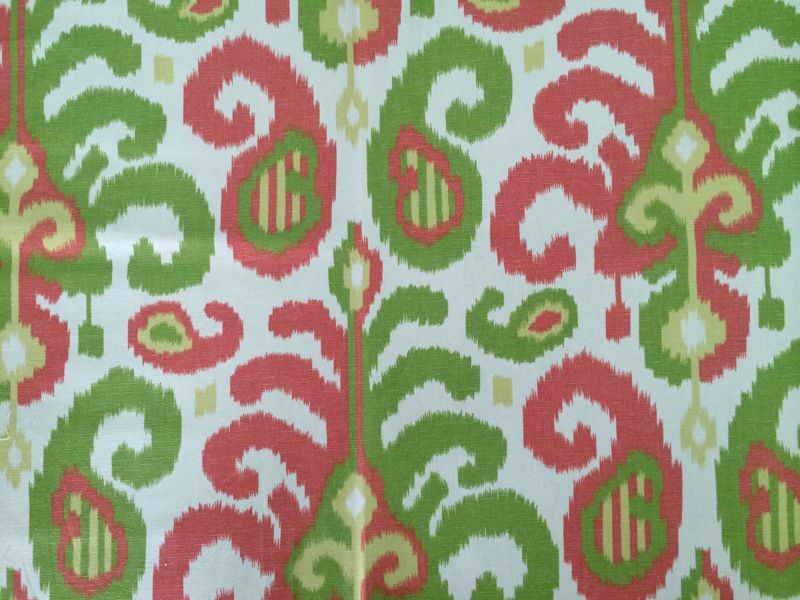 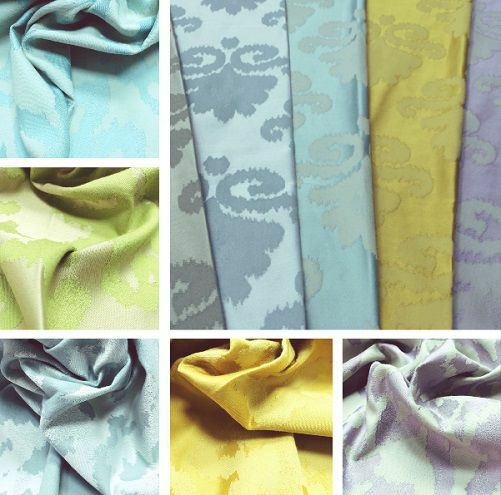 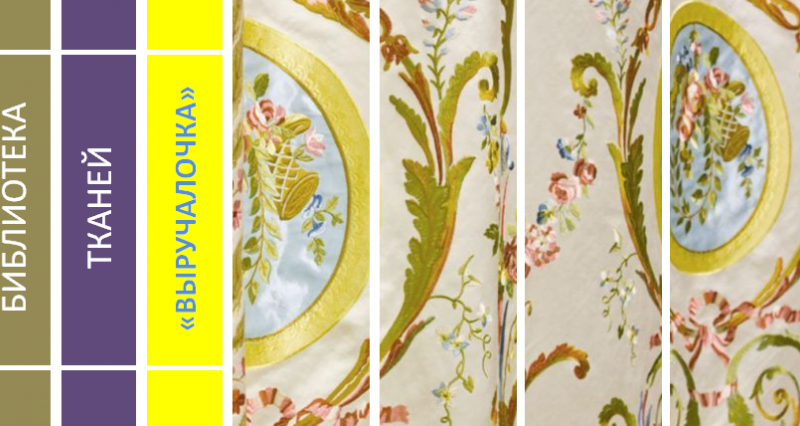 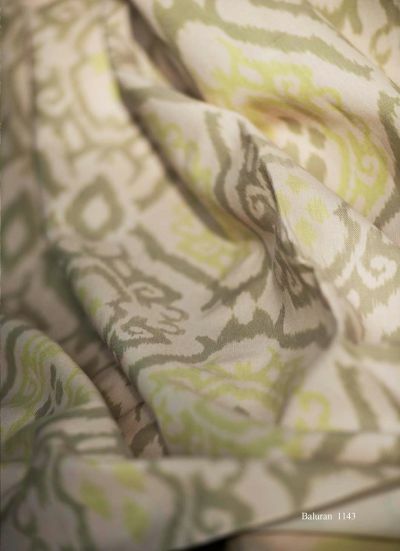 Fabric: GA’s own collections: IMAN, LILLY | Drapery, voile and upholstery fabrics with oriental-style ornamentation. 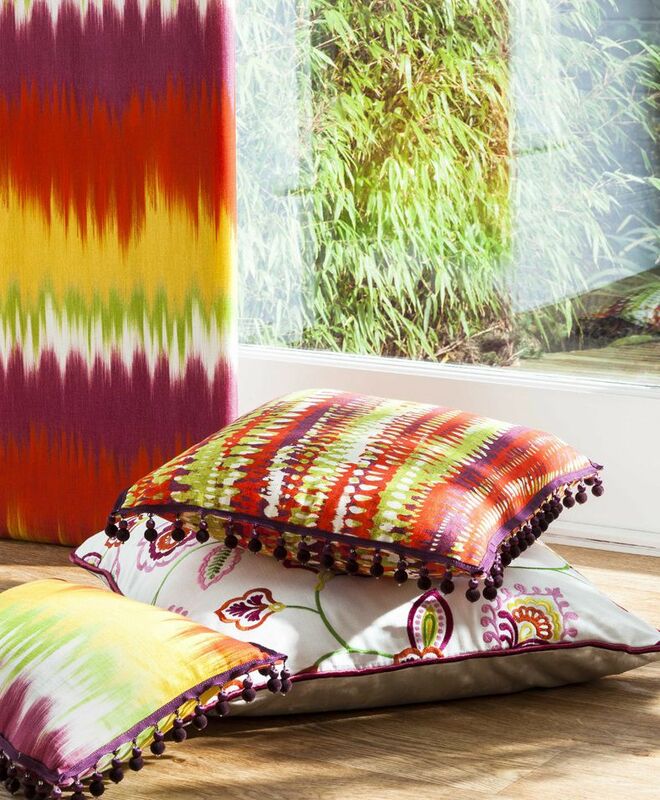 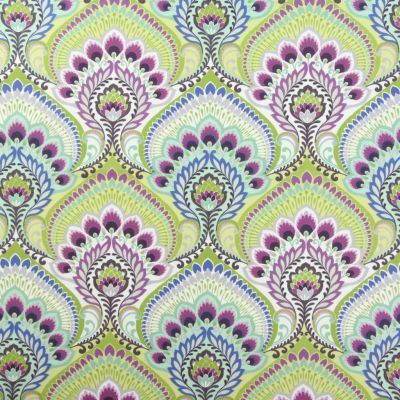 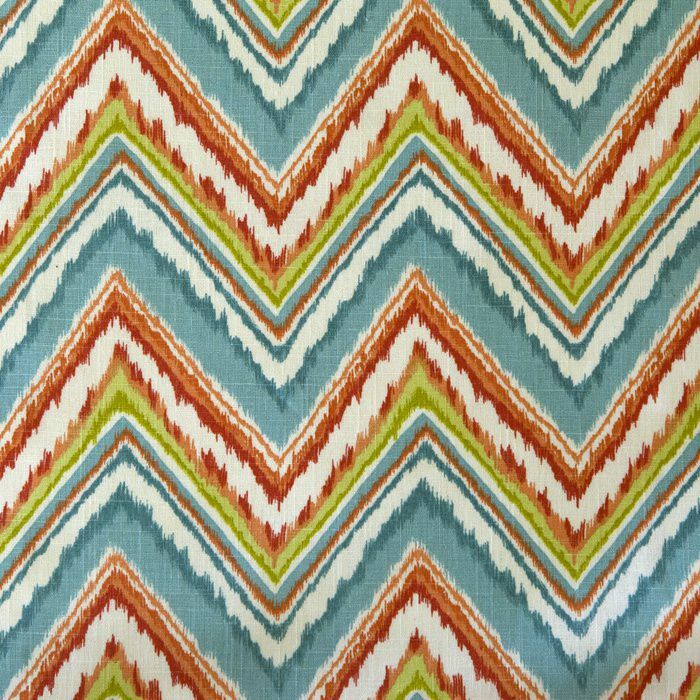 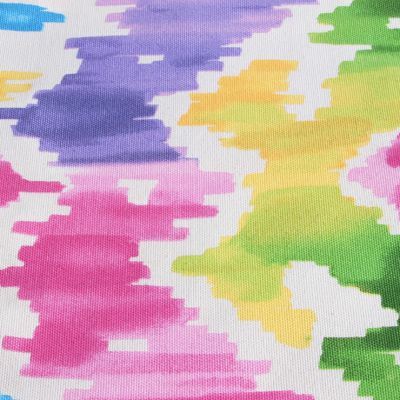 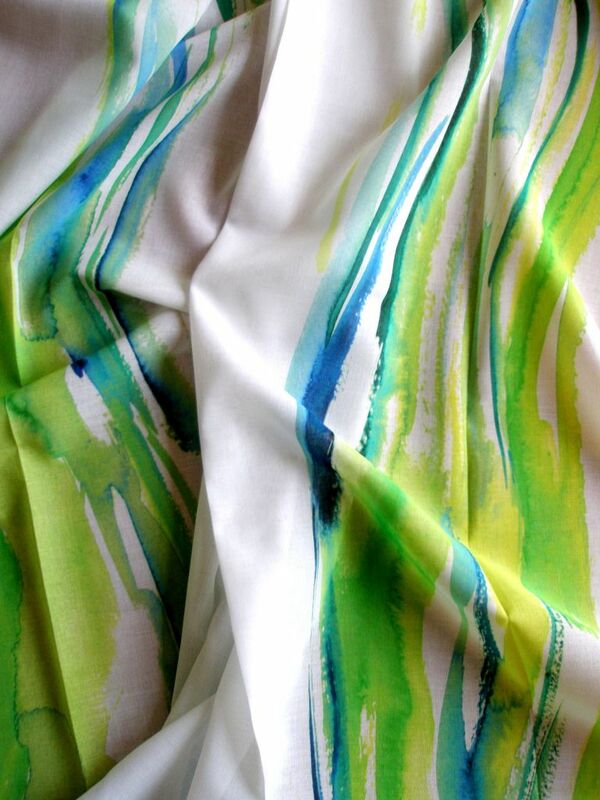 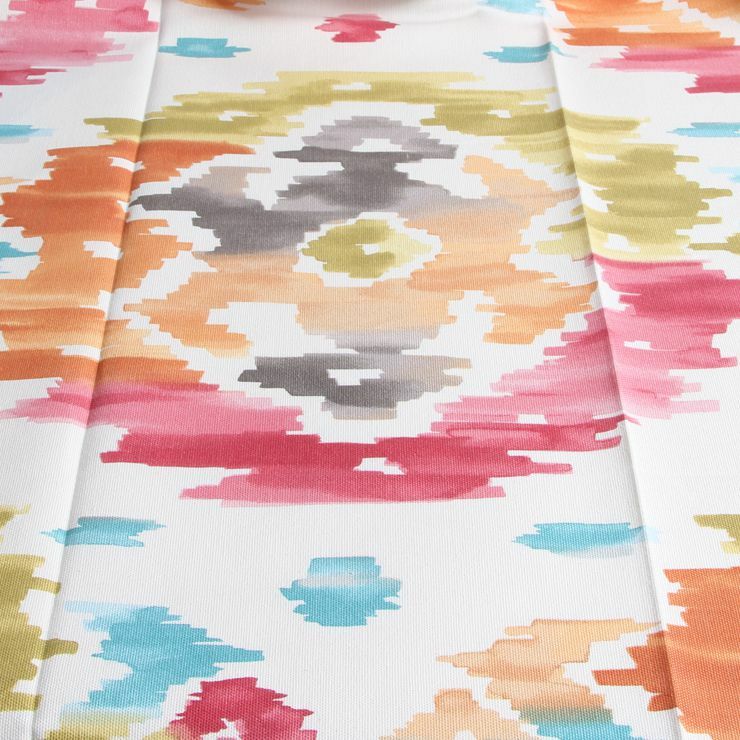 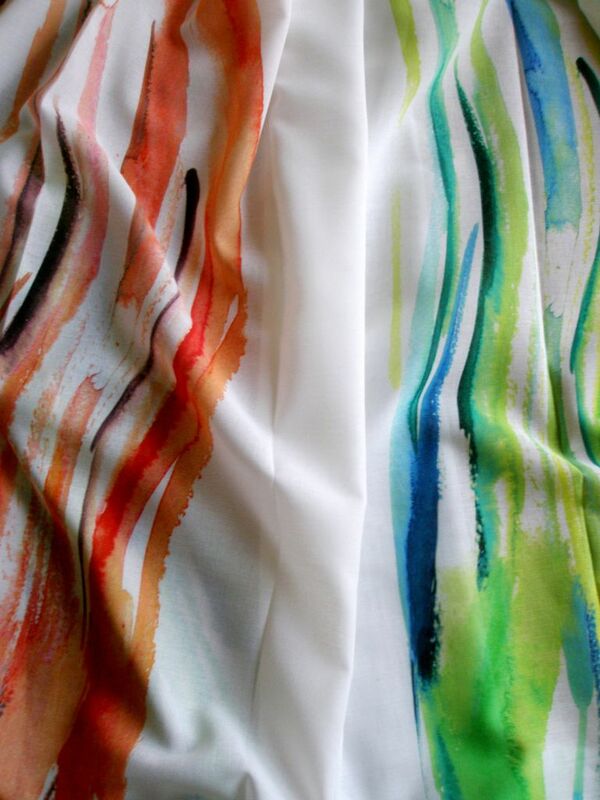 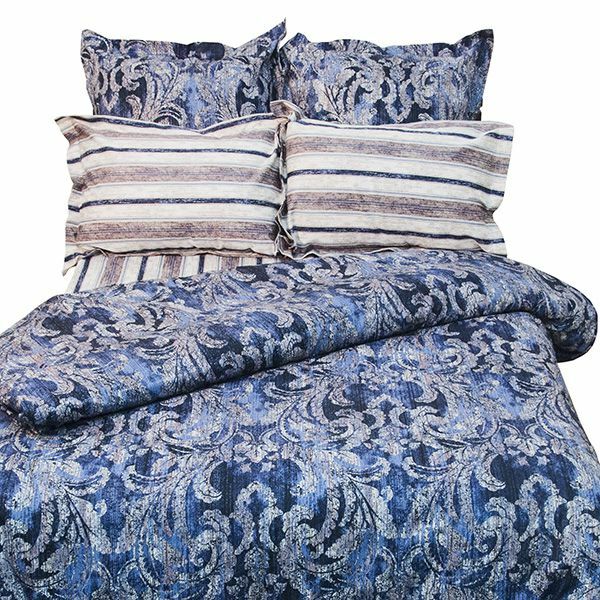 Fabrics with ikat ornaments—variegated and versicolored, with bright and dynamic shapes on cotton, moiré-like sheen on silks and with blurred contours of rainbow-esque patterns on raised velvets—are all available at PROTOS Textile! 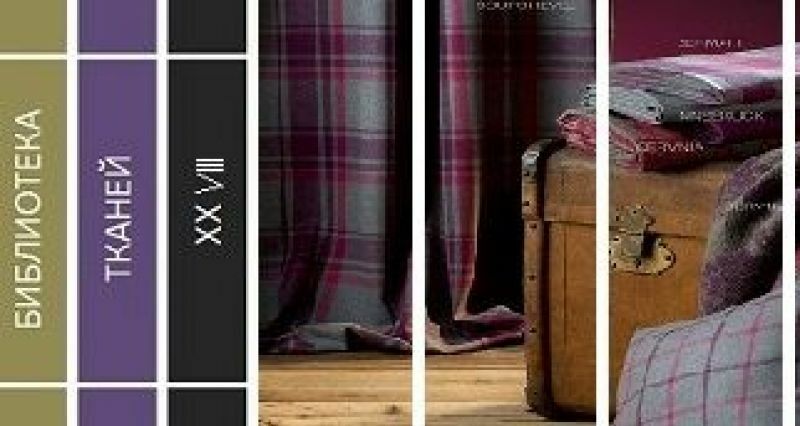 Availability: Orders from 1 meter, term of delivery from 2 to 4 weeks! 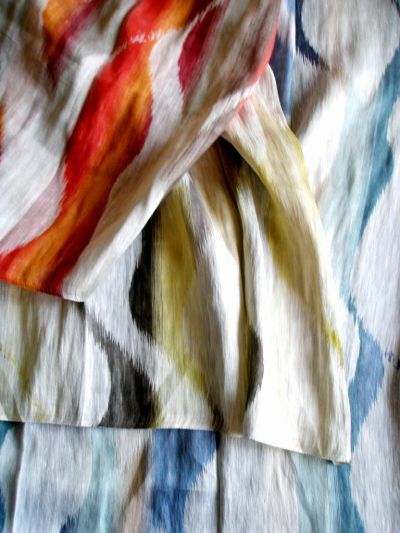 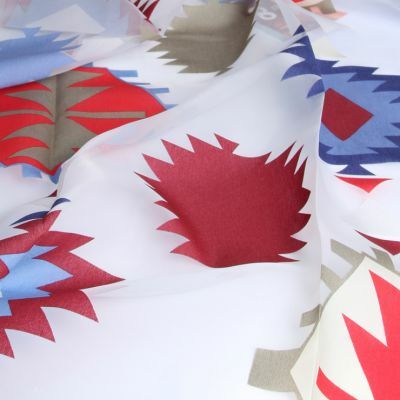 Amazing, brightly colored patterns with blurred edges printed on a natural base—a modern interpretation of the Ikat technique. 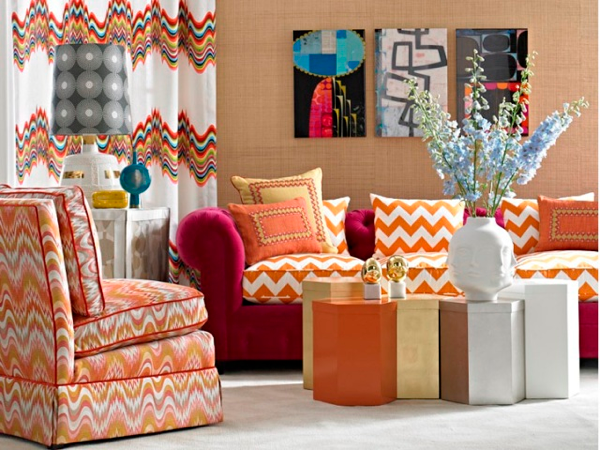 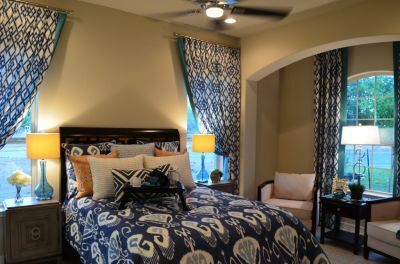 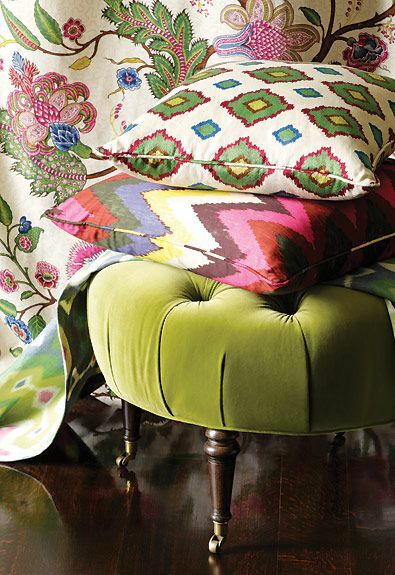 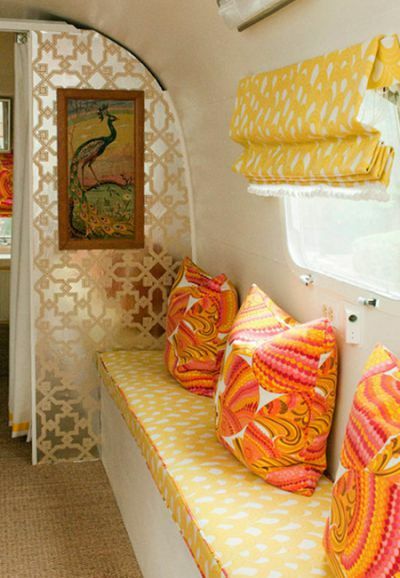 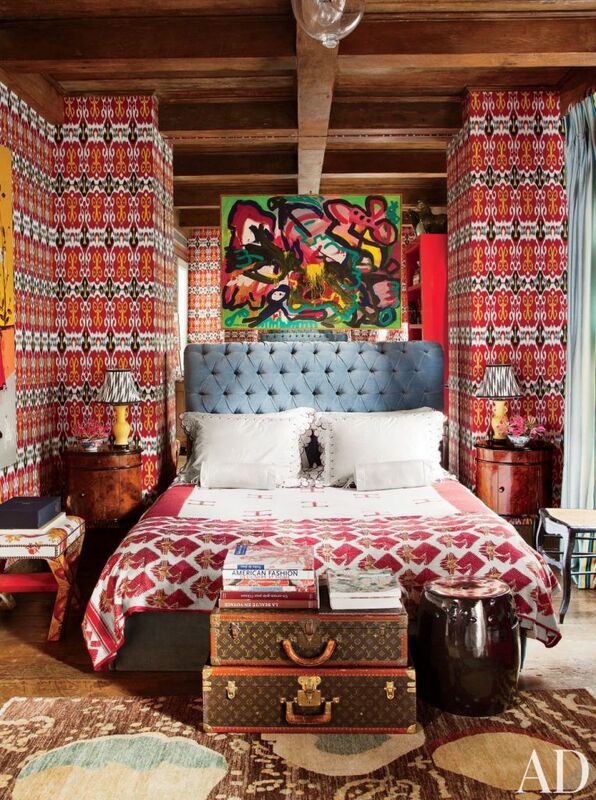 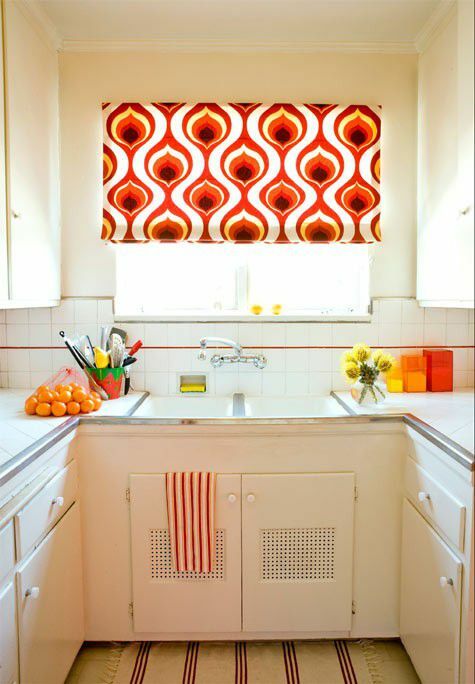 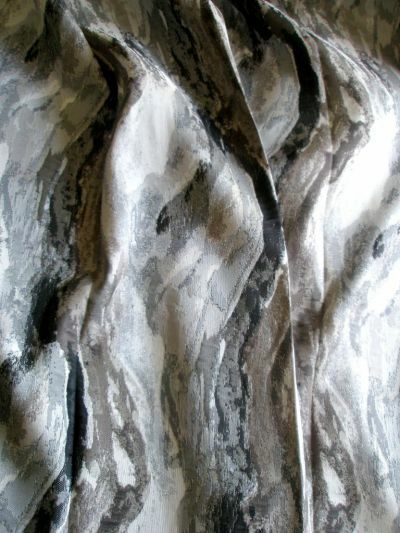 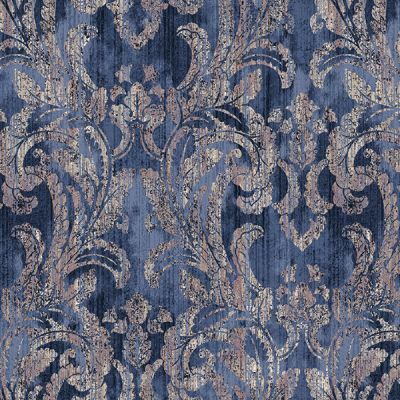 Such fabrics would add character to the dullest of interior spaces by infusing them with a very dynamic color scheme. 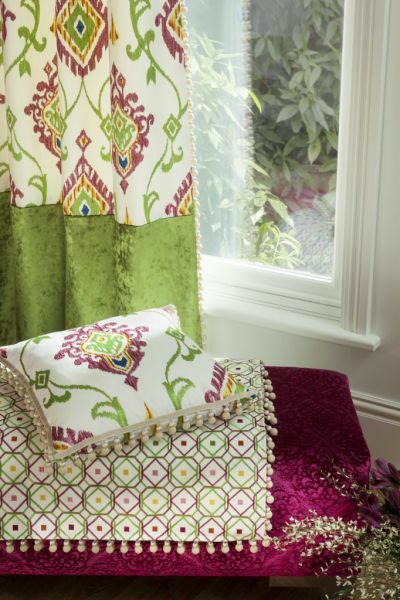 Ethnic motifs have become quite popular and trendy in modern design, as more and more interiors begin to feature bright and variegated fabrics that serve as allusions to exotic settings such as India, China, Vietnam and Indonesia. 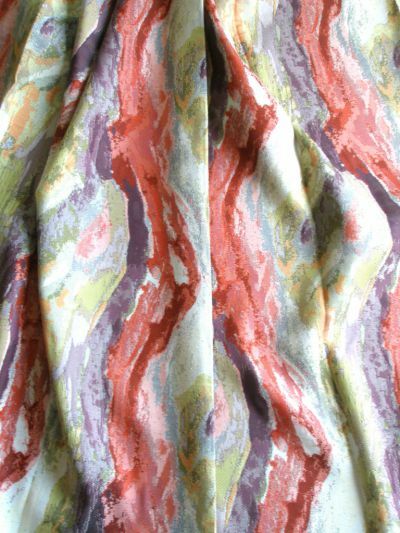 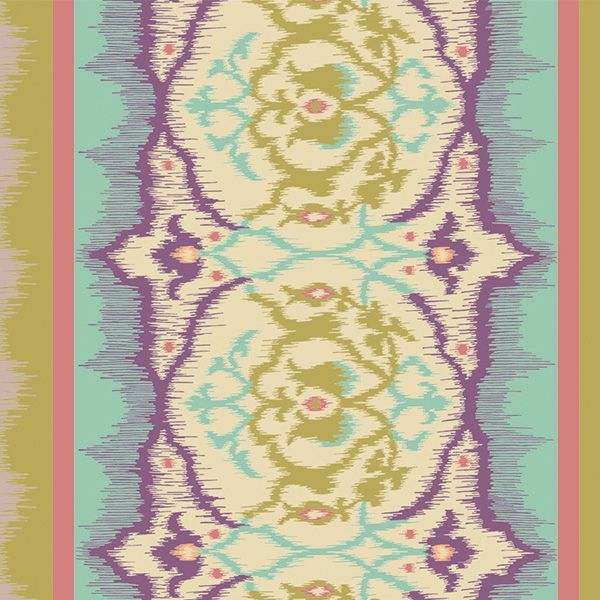 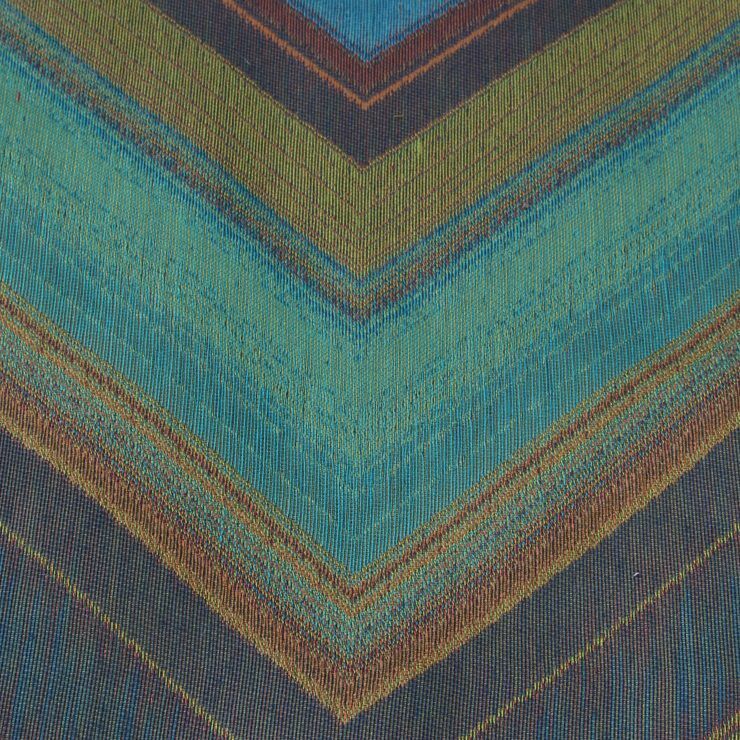 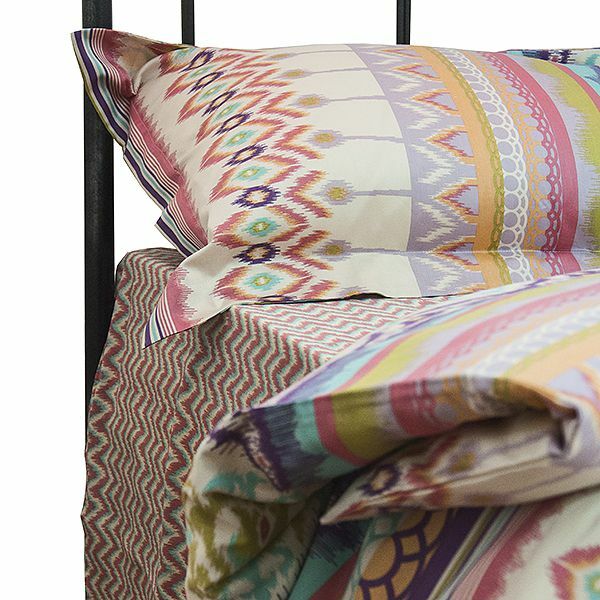 Ikats from the Symphony of Colors collection are a printed imitation of this complex, ancient and luxurious technique of fabric manufacturing. 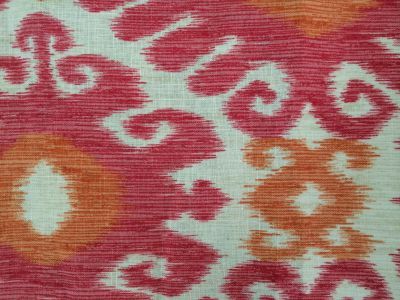 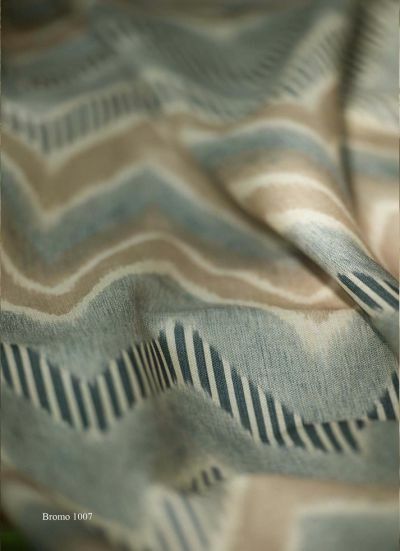 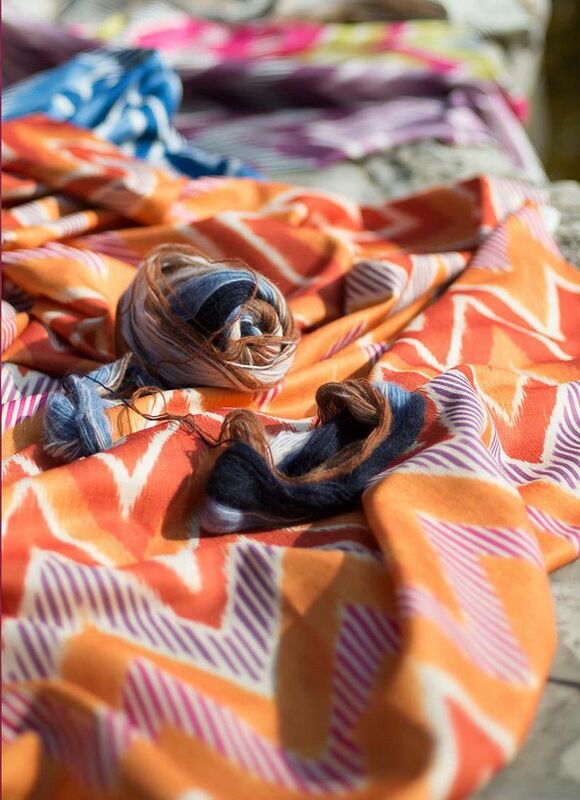 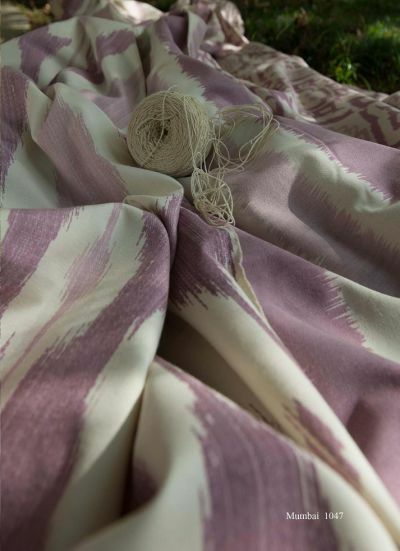 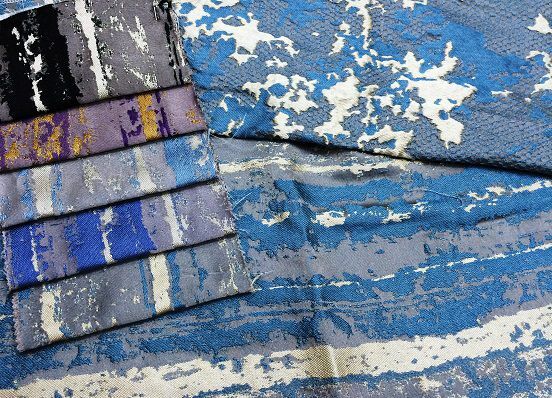 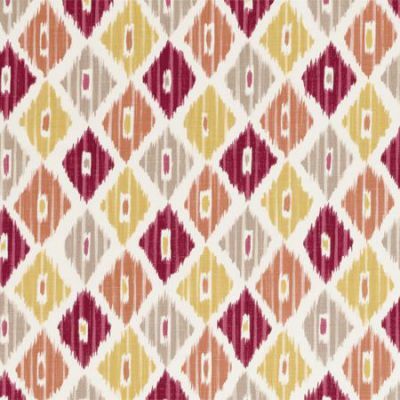 Quite in line with the world’s current trend, Trehgorka Manufacture has released three new collections of ikat-imitating fabrics: Nazzani, Missoni and Prato. 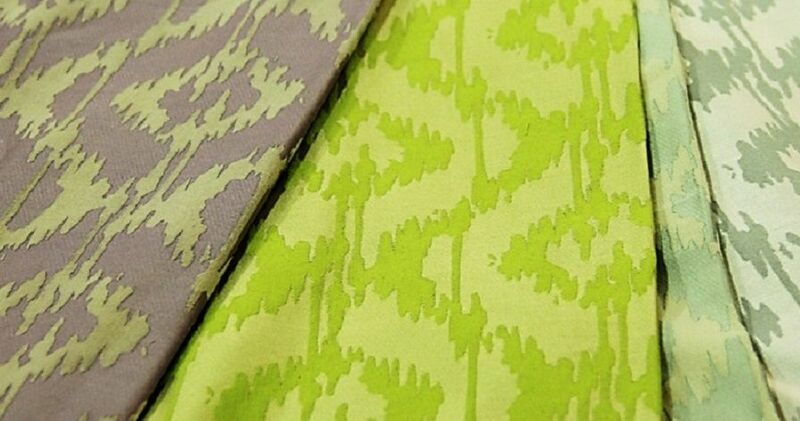 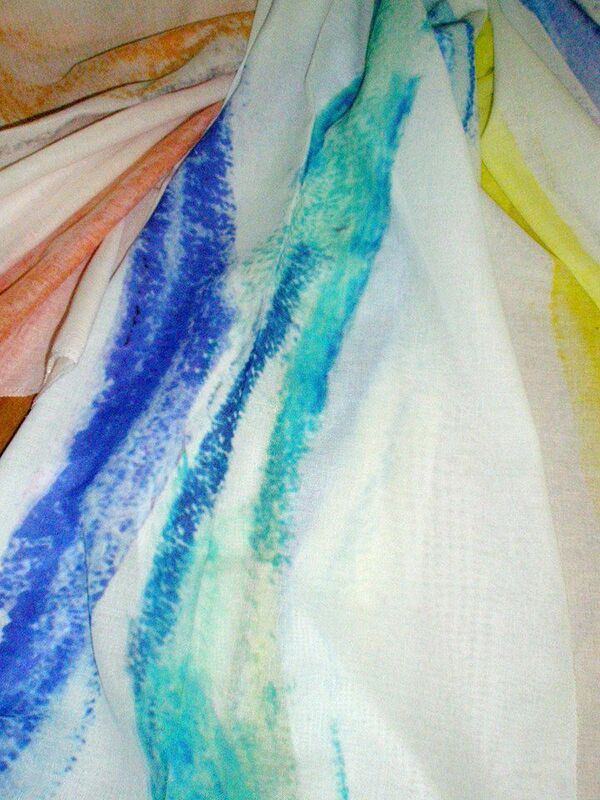 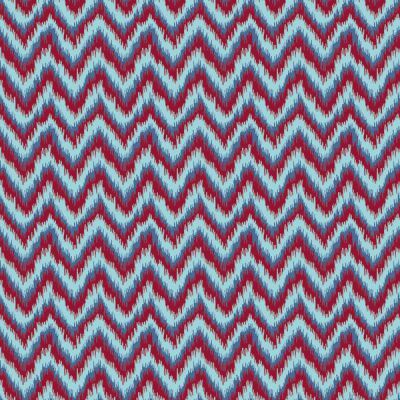 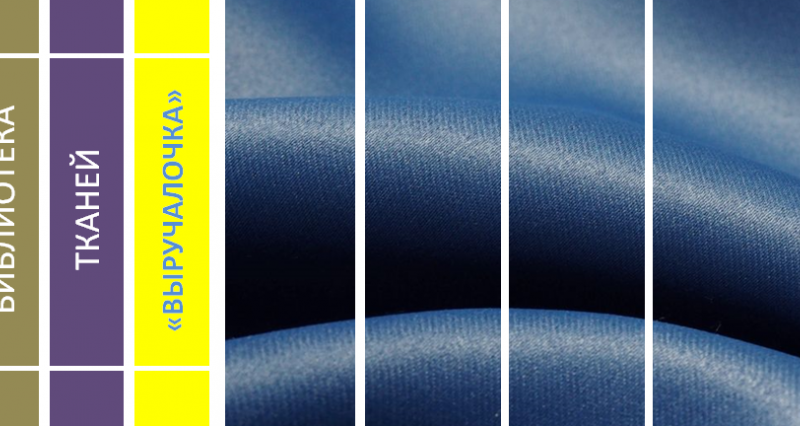 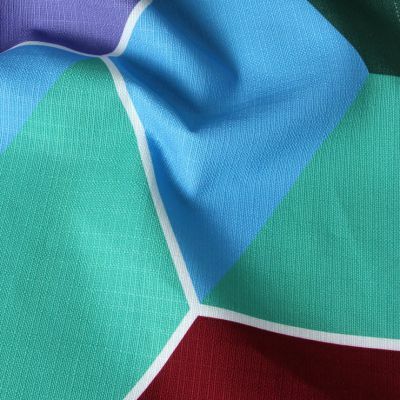 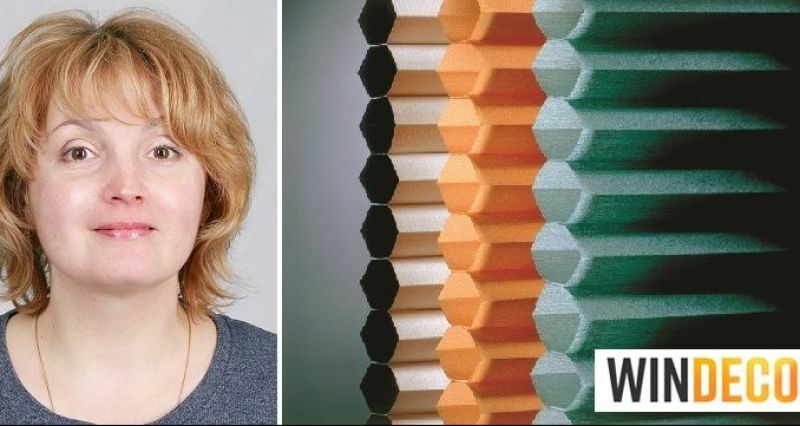 The fabrics feature characteristic of the technique blurriness and diffusion of pattern lines, which in a way is also applicable to the description of collections’ color schemes, which leave a very indistinct, diffused impression. 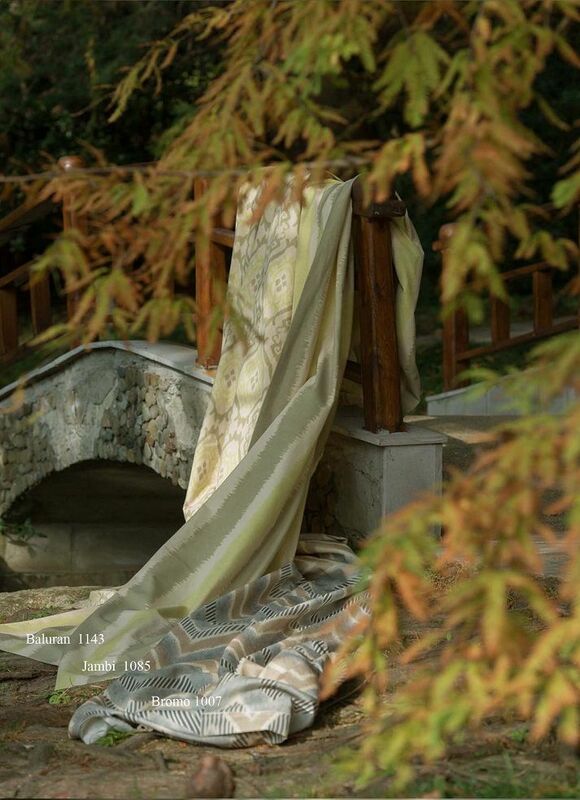 This collection is characterized by abundance of colors, natural fabric bases and a great variety of textures. 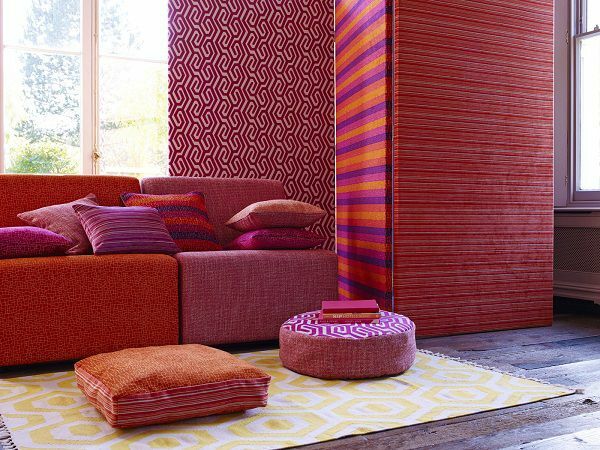 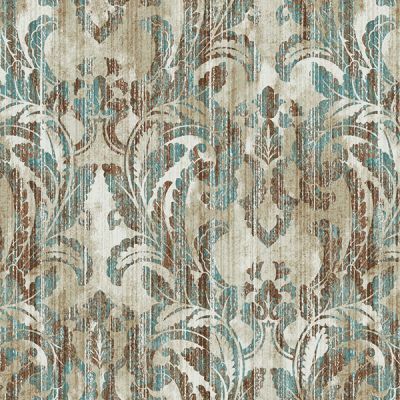 The fabrics do not possess any particular and explicit style, which may impose any regulations onto a given space. 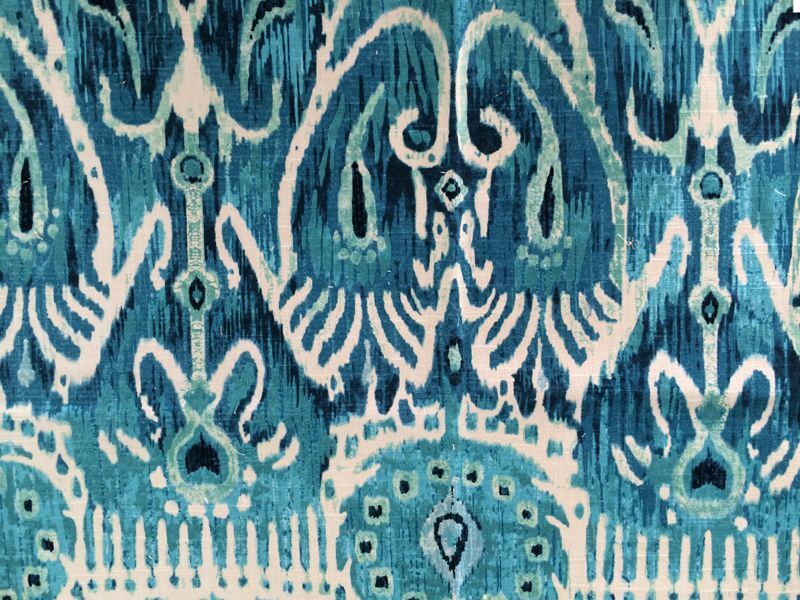 Quite on the contrary, besides providing a significant element of decoration, the fabrics will bring symmetry, rhythm and order to any interior. 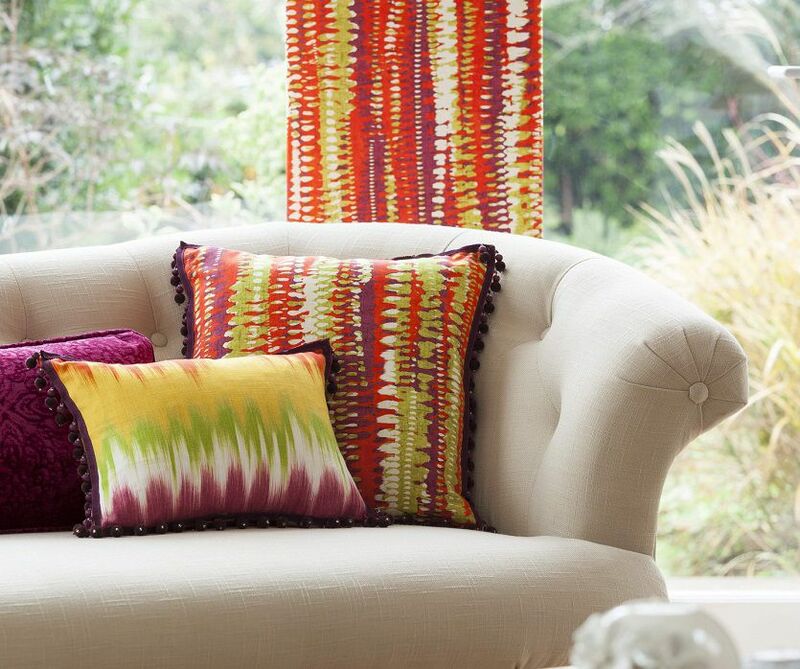 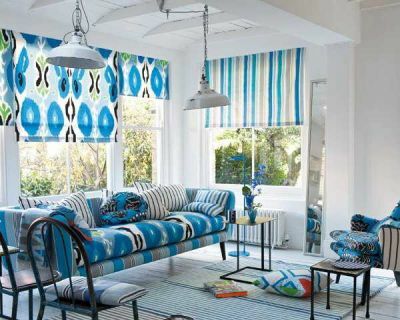 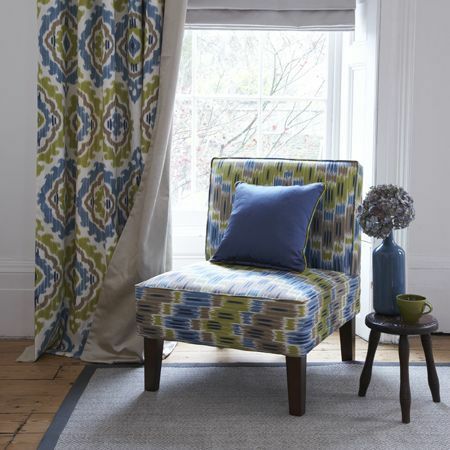 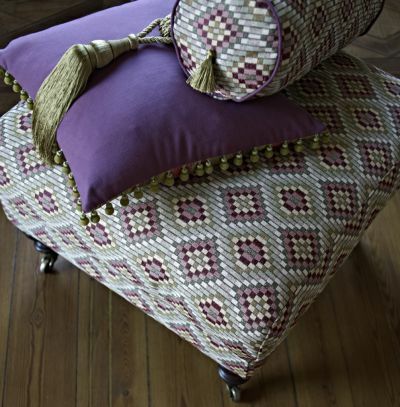 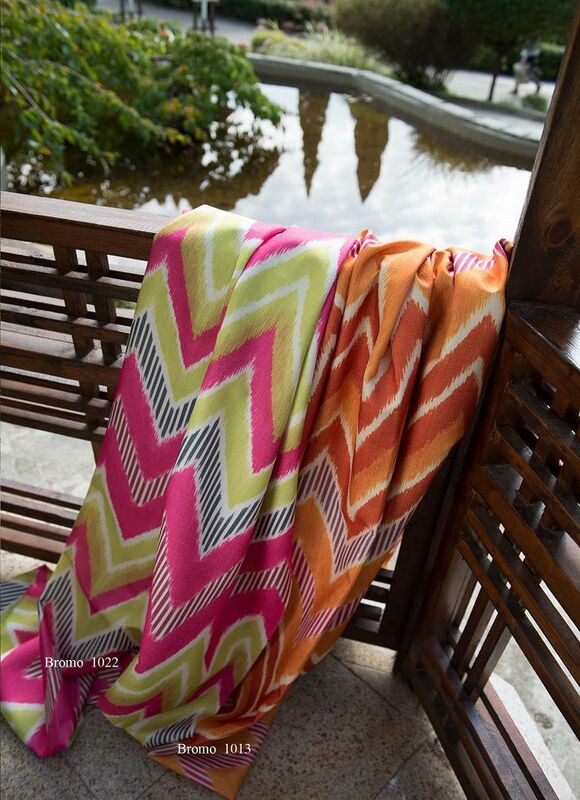 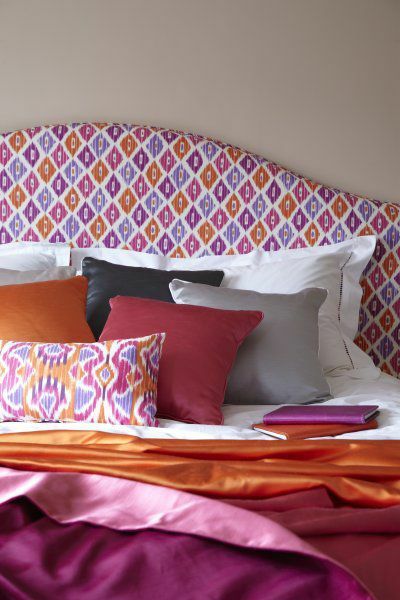 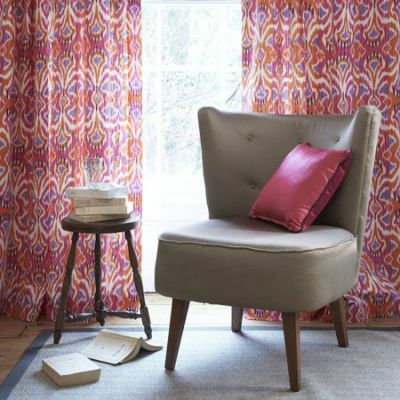 ASHLEY-Group’s collection of fabrics represented by a large number of the traditional ikat–esque patterns. 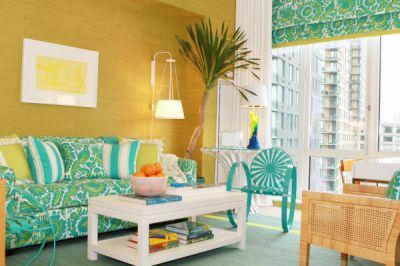 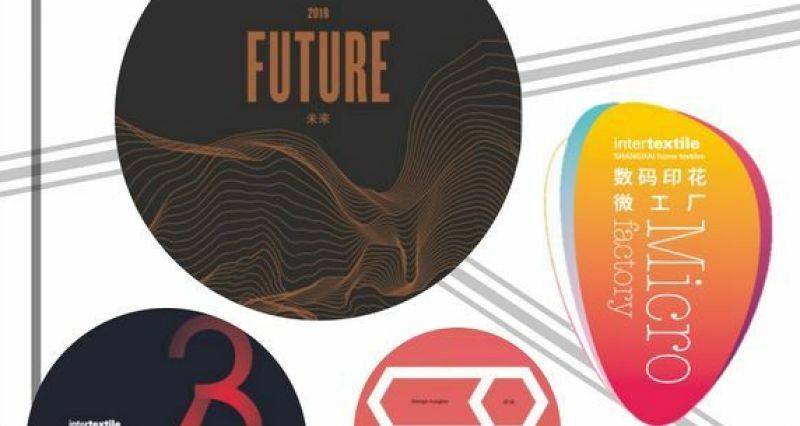 Rich, bright and saturated color schemes, as well as cleverly picked companions provide virtually unlimited possibilities for interior space decoration.